Think you don't have any more space to store items? Think again. "Storage means a lot more than hiding things you don't know what else to do with," note the editors of Wood Magazine's Home Storage Solutions. "It means taking advantage of unused and otherwise wasted space; putting your belongings away in an organized manner; and making ordinary storage space do double duty." What about turning to these unexpected areas in your home for clever storage solutions? 1. Under the bed. Don't waste that precious space beneath the bed as it holds endless possibilities. 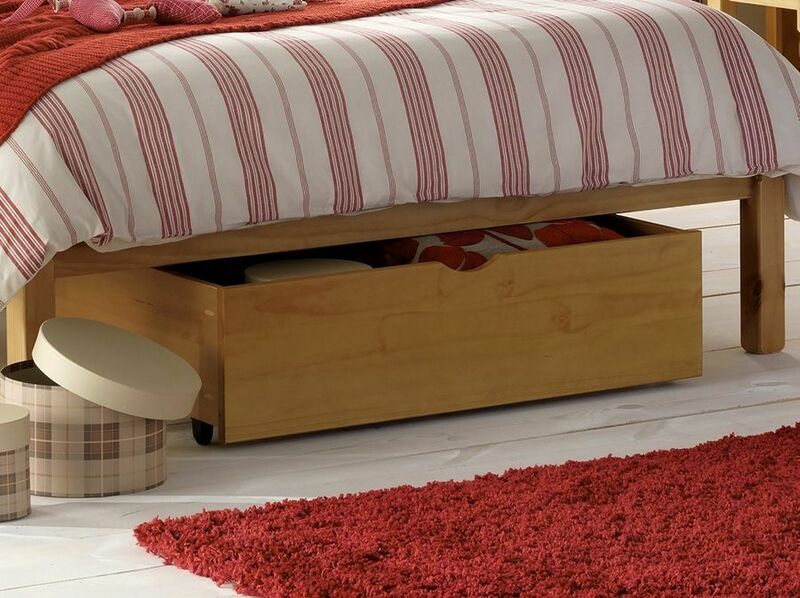 You can go for a kid's bed that comes with built-in drawers underneath where you can store their clothes and toys. Or you can improvise by organising items on plastic boxes or containers on castor wheels and parking them under the bed. 2. Above the door. If you have no place to store your rolled towels or toiletries in the bathroom, there's always the spot above the door to turn to. Install a ledge and you're good to go. 3. Under the coffee table. That centre table in your living room can also serve as storage for ottomans when not in use (read: space-saving) or baskets containing kids' toys for a clutter-free living zone. 4. Ceiling. Don't have a place for your pots and pans? Hang them up in style! 5. Headboard. Face storage woes head on. Whether hidden or in shelf style, there are clever headboard storage options. 6. Behind the door. The back of your door holds wonderful storage opportunities. Install over-the-door hanging rack or organiser and voila, you can store your knick knacks on this sweet spot! 7. By the refrigerator. Small kitchen? Flex your DIY muscles and build a roll-out pantry that can fit in the space between the fridge and the wall. 8. Side of the cabinet. So your cabinet is already filled with all your curios. Why not install a rack where you can hang reliable S hooks to carry some more items? 9. Under the sofa. You may be "sitting" on a brilliant idea on where to tuck away your throws, blankets, and other stuff when you don't need them in the living zone or bedroom. A sofa that comes with built-in storage is a must-have in your small space. Check out this video of the Vallentuna, a new sofa from IKEA. Know any more unexpected storage in your home? Share with us at hello@cromly.com.